Tool, known as one of rock music’s most mysterious bands, is allowing fans to take a closer look at what goes on behind the scenes. 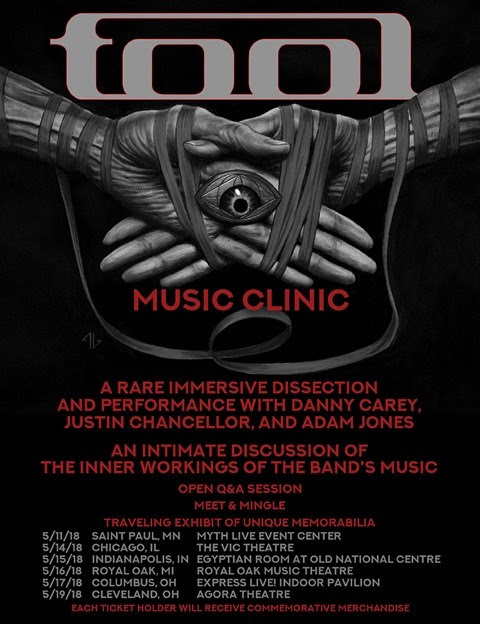 On April 9th the band announced that it will be giving fans rare glimpse behind-the-scenes through six intimate music clinics. Drummer Danny Carey, bass player Justin Chancellor and guitar player Adam Jones will engage fans in discussion about some of the band’s songs. The discussions will include topics such as the process of writing the songs to the final product of playing them live. The sessions will include open discussions that allow fans attending to ask questions of the band members and mingle with the band afterwards. Only the instrumentalists Carey, Chancellor and Jones will be there, Keenan will not be participating in the clinics. Commemorative merchandise, exclusive to the series of events and limited to the number of people in attendance, is included with a ticket. Unique items from Tool’s history will be displayed at each event as a traveling exhibit. Tickets are on-sale this Friday, April 13 at 10 am local time. A limited number of tickets have been set aside for Tool Army members, which will be available on Wednesday, April 11 at 10 am pacific through the band’s web store. According to theprp Maynard James Keenan, front man for Tool and Puscifer compared Tool’s new album to Guns N’ Roses sixth studio album Chinese Democracy. Keenan said, “I had this other looming project [Tool] that can’t seem to go forward, as much as I’ve tried, every magic word in the book that I tried. It’s just no different – and worse because there’s pressure now, and what are we? ‘Chinese Democracy II‘ or III? So I saw a window [to work on A Perfect Circle. ]” Guns N’ Roses album was about a 15 year wait while Tool fans have waited about 12 years for the new album’s release. Keenan has been busy with other projects A Perfect Circle and Puscifer in recent years. A Perfect Circle’s new album Eat the Elephant will be out April 20th. Keenan described the lyrical inspiration for Eat the Elephant as reconnecting with oneself and taking responsibility. 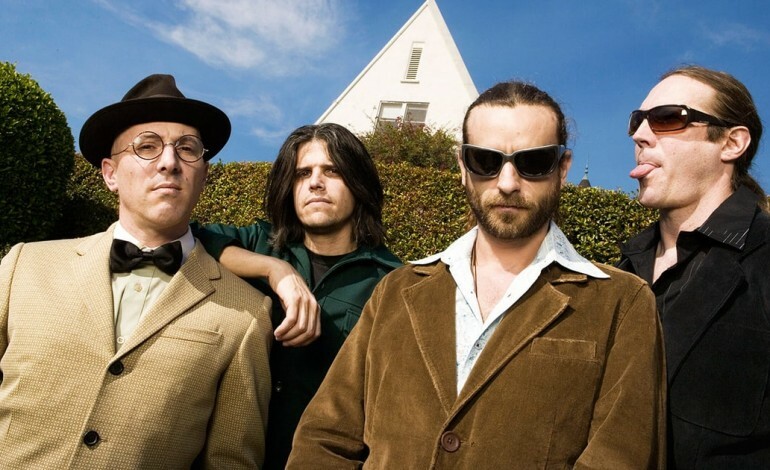 According to mxdwn in March Tool confirmed that they are in a recording studio to work on pre-production of their new album. The band will be working with Joe Barresi who they previously worked with for their album 10,00 Days which debuted in 2006. Band members had been teasing fans with pictures of setups on social media.